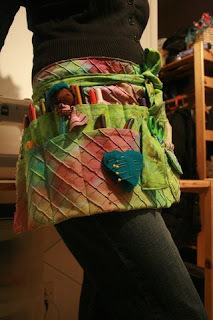 Nancy from Tattered Garden has a tutorial on how to make snappy bags using an old metal measuring tape. 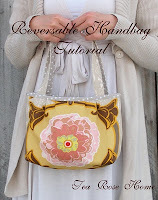 Tea Rose Home has a tutorial for a reversible tote bag that looks nice and easy to whip up. The Sometimes Crafter has a tutorial to make a square fabric basket. She is using it for her scraps but you could use it for so many things. The Magic Bean has this great free crafters apron pattern to download - its made to double as a tool wrap. 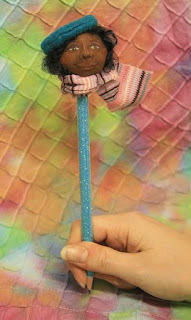 She also has the wee pencil topper as a free pattern to download as well. Prim Patterns 'n Handmade has a free prim bunny pattern to share with us. Come on you gotta love these prim dolls. 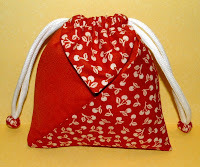 Purl Bee is sharing a tutorial to make a cute heart zipper purse..not sure if I am game to try making them though...lol...let me know if you do and if they were easy...maybe I am just being a chicken. This is a lovely raggy quilt with a difference. The scalloped edges just give it something extra. Sew4Home has a lot of different free tutorials/patterns to look at. Another cute one is the wristlet. 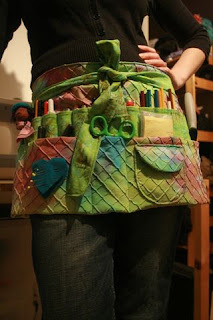 Sew4Home has a free pattern for a Groovy Hostess Apron. They also have a lot of other ideas over there too. Place-mats, chair cushions,table mats and more. My Little Mochi has an Origami Pocket Pouch tutorial she is sharing. Zakka Like has the oh so cutest nesting doll card tutorial she is sharing. What little girl or big girl for that matter, wouldn't love getting this card. 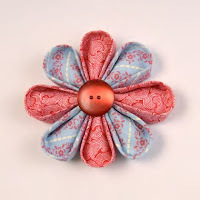 You can find a tutorial for the Back-to-Back Ornament Project from Kanzashi in Bloom by Diane Gilleland over at Scribd. For those of us who don't like piecing triangles together this is the easy way of making a nice Zig Zag Quilt. Bee Square blog hosts guest Crazy Mom Quilts tutorial to show us how to make lovely quilt. Lettie has a quick easy Flower Hair Pin tutorial. You could easily whip up a heap of these for the girls. 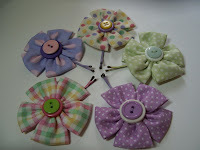 She also has a cute Scrappy Patchwork Flower. Flower power is sweeping the blogs by the look of it...lol....and look at her Folded Hexagons. They will surprise you. Lia is sharing a seahorse pattern and tutorial. Take a look as Lia has a few freebies on her site. I really like the drawstring bag she calls the Flower Pouch. I have actually made this pattern up before from instructions a friend gave me. Whimsy Loft has a tutorial to make a cute sock owl....what a hoot...and such a cootie. 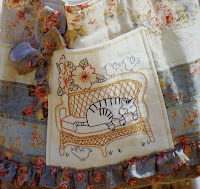 Brownyn Hayes of Red Brolly is sharing some cat stitcheries. Drop on over and have a look. 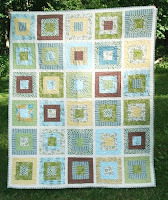 Cluck Cluck Sew has a great looking quilt she has called Marys Wedding Quilt. I am calling it a Square in a Square in a Square....lol....I really like this and think it is yet another thing to add to the "to do list"...well that is if I wrote a list. I am not game to as I would never ever get to the end. Happy Together shows us how to make a Sweetheart Pincushion. Quiltbug has an easy table topper pattern which I have made. It was years ago for a swap, but I do know it was easy enough. 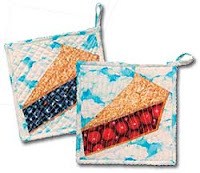 Quilters Cache..... A great site with so many quilt block patterns you won't know which one to try first. 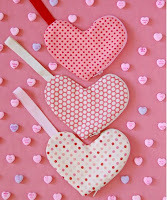 Tallgrass Prairie Studio have an oh so cute Heart Block tutorial. I have made these same heart blocks with just fabric but this is so cute with the strip piecing in the blocks rather than just one fabric. All People Quilt have a pattern for a table topper called Pink Flower Table Topper.